Birthday Jar - how much money is inside? In my usual yearly tradition, on my birthday I go and cash in my birthday jar. Since I travel pretty much on a weekly basis for work and refuse to have a wallet, all my coin change (and recently all $5 notes) go into this jar after every trip. At 40-50 trips a year, this quickly builds up. I was very keen to find out what it all came to this year, but you can't just take this giant jar into the bank, some sorting is in order first. Here's the jar as it was this morning, with the notes and then without. How much do you think is inside it? All the coins fit into four and a half ziplock bags. 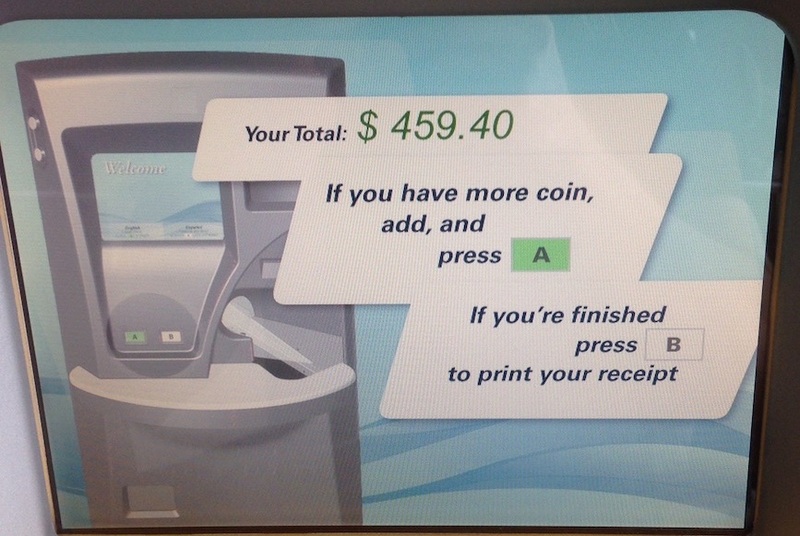 My jar guardian is back in place and the coins are on the conveyor belt in the counting machine. This bit is always exciting. These machines still amaze me. 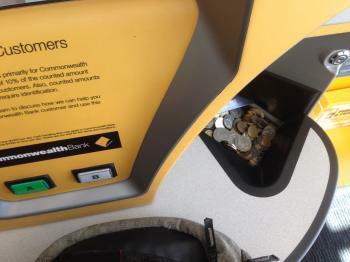 Add in the 74x $5 notes to the value of $340 and we have a total of $829.4. Not bad considering this is just from change! Next year it will happen all over again!